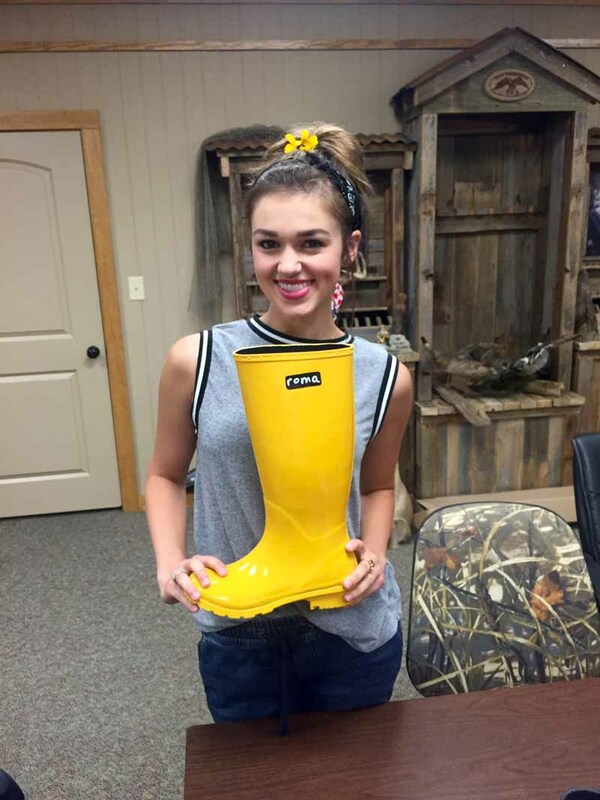 Join Duck Dynasty’s Sadie Robertson in Giving Poverty the Boot! “Live Original”—that is the motto Sadie Robertson—of A&E’s “Duck Dynasty” and ABC’s “Dancing with the Stars”—lives by and encourages her fans to follow. This October, Sadie Roberston puts her design prowess where her mouth is with the release of Sadie Robertson Live Original all weather boots collection. Created in collaboration with Roma Boots, a company that combines fashion and philanthropy, the new Sadie Robertson Live Original collection showcases the reality star’s love of colors as she mixed floral designs with sorbet shades and vibrant hues. The boots which are offered in vivid solid colors and Sadie’s floral motif will be available in October but can already be preordered at www.romaboots.com. Roma Boots was founded in 2010 by Samuel Bistrian who merged his knowledge of retail fashion with his passion for humanitarian efforts. Having grown up in impoverished, communist Romania, Samuel constantly sought to give back. As a contributor to conscientious consumerism, Roma Boots is a ‘buy one, give one’ company that donates a pair of boots to a child in need for each pair sold. The company has been able to donate tens of thousands of Roma Boots over the last four years in 20 countries on four continents. Additionally, ten percent of all Roma Boots sales go towards cultural and educational initiatives. A pair of Roma Boots is a fun and fashion-forward necessity for your socially conscious self, friend, or family member. Available online at www.romaboots.com, Roma Boots can also be found in more than 300 boutiques and regional stores around the U.S. Roma Boots are also sold internationally in the U.K., Japan, South Korea, and Germany. Roma is amor and amor means love. Samuel kept this in mind when he founded Roma Boots with the mission of “Giving poverty the boot!” through aid and education. For every pair of Roma Boots sold, a new pair is donated to a child in need.